Above five years kids should get complete calorie. Don’t force kids to eat explain them quietly. For development provide vitamins and minerals. Pick them a habit to eat healthy food, keep them away from junk food. Nowadays small children suffering from those diseases which are caused to elders, like diabetes. This is because there is a change in diet. Today’s kids eating junk food, that cause different diseases. Did you know that balanced diet is necessary for kids? Usually, kids are naughty they won’t listen, anybody, at that time we need to give them proper diet and nutrients. CALORIE: Above five-year kids must get calorie, because of this kids stays active, to provide high calorie that doesn’t mean you provide them fried food. you should give them milk and other healthy meal. PROTEIN: Growing kids need protein in a good amount, that helps them to the growth of their muscles and bones, To make their bones strong protein is necessary. with this, they should eat cottage cheese, eggs, fish, meat etc. 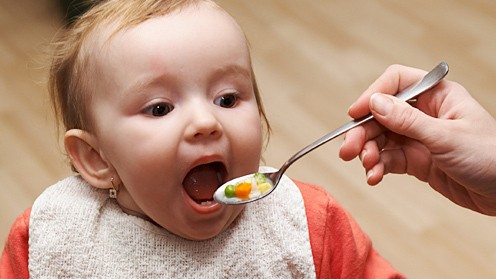 VITAMINS AND MINERALS: For proper growth of kids we should provide vitamins and minerals in a good amount, we should provide them a nutrient meal which contains calcium in a good amount, provide them green leafy vegetables for vitamins and irons. FRUITS: Fruits contains vitamins, iron, and other required nutrients, kids must eat seasonal fruits, In their salad grapes, apple, orange and other fruits must be there. WATER AND FIBER: For kids health, the sufficient amount of water must be there, they can suffer from dehydration, In that case, we should give them a good amount water, soup, and other liquid components, With this fiber, must be there in the meal. TIPS OF BALANCE DIET FOR KIDS. For proper growth of kids in a day, you should provide their favorite food 5 times. Don’t force them to eat handle them with love. Make their food colorful, for this, you can add fruits, vegetables in a salad, kids eat them very peacefully. Let they play outside, because of this they get hungry and they will eat more food. Pick them a habit of eating healthy food, not junk food.